Obituary for Cynthia R. Martin | Minor-Morris Funeral Home, Ltd.
Cynthia Renea (Brown) Martin was born June 15, 1977 in Birmingham, Alabama to Arthur and Esther Brown. She began her journey towards eternal life on February 6, 2019. Cynthia was joined in holy matrimony to her devoted and loving husband, Steven Martin on August 16, 2016. In her early 20s she joined the Nation of Islam under the teachings of Honorable Elijah Muhammed and the guidance from the Honorable Louis Farrakhan. Cynthia decided to join the field of nursing at the age of 19. She graduated from Bevill State in Birmingham, Alabama and became a Licensed Practical Nurse. 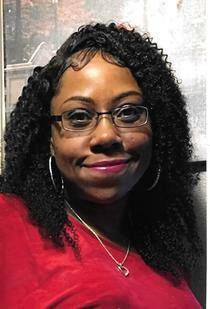 She then, some years later, furthered her career graduating from Joliet Junior College as a Registered Nurse in 2003. Soon after graduation, she obtained a position in the Telemetry Unit at Silver Cross Hospital. Her last employment was as a R.N. for the Department of Corrections. She is preceded in death by her mother, Esther Mae Brown. She is survived by her husband, Steven Martin; loving children, Erianna and Jeremiah; father, Arthur James Brown; sister, Angela, brothers, Arthur J. Brown (Virginia-Military); Arthur M. Brown (Latesha), Reginald Brown, Travis Brown (Cynthia); nephew, Xavier; niece, Aniyah; nephew, Khalifa; niece, Briella; closest friends, Kamilah and Katrina ; many more family and friends.